The holiday season is at our door and the end of year is fast approaching. Lily and Dan would like to say thank you to our valued clients for your continued consistent patronage. It is an honor and a pleasure to be able to work with you to assist you in achieving your wellbeing, health goals and needs. We look forward to working together to achieve an even healthier, stronger, more mobile 2017. We would like to take this opportunity to say HAPPY HOLIDAYS – Merry Christmas and Happy Chanukah to our dear clients, their families and friends, to our colleagues, to our support web and to the entire fitness community. May the holiday season be filled with warm times, family, spirituality, a little holiday fair, lots of water and fresh clean food. May the New Year bring blessings, health, happiness and meaningful moments for us all. HAPPY HAPPY HOLIDAYS AND NEW YEAR. If you know me you know I love retail therapy. Give me a destination with shopping and I am “happy” the more stores the more labels the bigger the smile – some might say shallow to me it’s therapeutic, its enjoyment. Every trip I have a “must have” this trip it was a ” hand bag” actually every trip it’s a hand bag. 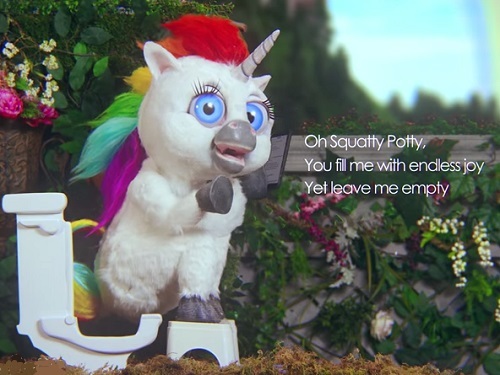 SQUATTY POTTY the ultimate toilet accessory. Michelle Lyons in Jenny Burrell’s “3rd Age” on line course spoke passionately about the merits of this accessory for good bowel health. I arrived at my girlfriends apartment in NY and saw the Squatty POTTY in her toilet, after questioning her she shared how wonderful this accessory is and how it transformed her pooping. 24 hours later Amazon delivered my SQUATTY POTTY. In to my suitcase it went . It’s home now in my bathroom. Ladies May I suggest you invest. This simple plastic foot stool ( he he) elevates your feet allowing correct positioning of the back passage for easy bowel movements. Sitting at the airport there is much time to reflect on the past week and the take home messages. The importance and value of “time out” for the 3rd Age Woman. For me getting on the plane – the long haul is time to turn off from the daily grind, phone off, time to read, time to sit back and watch a girlie series, time to sleep time to eat, time to think. Day 1 we started off with a one hour facial, a one hour massage, a one hour lunch and hours of talking and catching up. The culmination an evening out on the town great venue, great food, great women chatting connecting eating and drinking- tank you Leslie Silver. 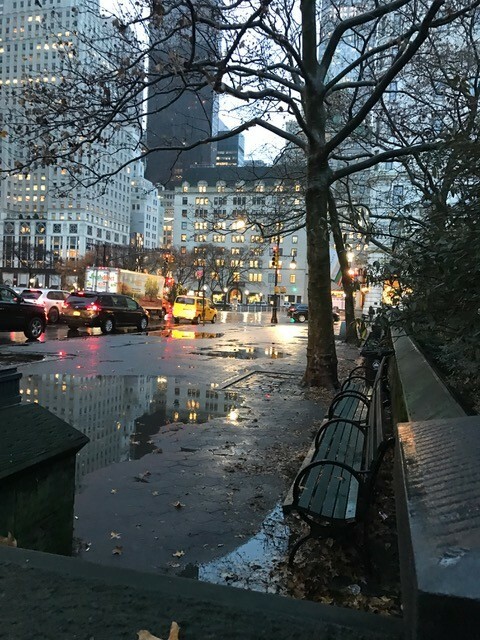 Day 2 getting to know this wonderful city New York – hustle, bustle, energy, the City with a heartbeat. Getting to know new faces Rachel Holmes . Day 3 and 4 The Women In Womens Health Conference – The conference was coordinated by Jessica Drummond of the Intergrative Womens Health Institute and featured presenters from all walks of Womens Health. Many spoke of the issues relating to the Female Athlete -autoimmunity, pelvic floor health, maximising performance and adrenal fatigue. Michelle Lyons spoke on hormones and fitness, osteopenia and osteoporosis. Jenny Burrell from Burrell Education spoke on” Mindset for Success for Womens Health Entrepreneurs” and Jenn Racioppi an ovarian cancer survivor spoke on “doing work that you love that helps other women”. Days 5, 6 and 7 Walking and more walking, fresh air, navigating new areas, retail therapy. Day 8 unexpected lay over in LA – the flight from Newark To LA was diverted midway due to lack of oxygen on the plane. A five hour wait in Chicago meant I missed my connecting flight to Melbourne so a day strolling Santa Monica the beach and surrounding areas. Dining on my own. Good health is ageless, so don’t be one of those blokes that give up at 40. When you hit the big 4-0 there are a few unspoken issues that underpin your training regime. Your body starts to protest about doing the same things it used to take on with such ease in your 20’s. It takes you longer to recover, and it feels like you have to work harder to get the results you want. More importantly, your priorities change. While going to the gym used to involve a warm-up, 3 to 5 sets of weights, and a follow-up protein shake four times per week, you now need to shift your mindset as well as your training to keep your body and health in tip top condition. Around the 40 mark, you need to start adopting a more holistic approach to training. Begin to view your body as one whole unit rather than laying focus on particular ‘areas’ and then work on adopting your training to address the whole package. These days, we have access to so many training methods that integrate whole body movements and activate small muscle groups. Working with these types of exercises allows us to perform better and be stronger. Don’t stress out the body and put it through a rigorous routine all the time. Once you could constantly live by the ‘go hard or go home’ mantra, but take it a little easier on yourself now, and save your crazy workout days for special occasions. Spend less time training. It sounds contradictory, but you just need to train at a higher intensity and leave more time for recovery. Adapt, be efficient, and become body strong. These three elements will guarantee that it all comes together. Just by mixing it up, you will feel and look completely energised. Find a good balance between weights and movement training. With this new holistic approach, look at your training options. Instead of writing off resistance training altogether, just look at other ways of working smarter rather than harder. I tell my clients to be comfortable by being uncomfortable and trying new things. My favourite tool of the trade is Power Plate whole body vibration. It’s integrated with movement systems such as Vipr, TRX, or Sandbells. There are plenty of awesome trainers out there that know their stuff and a lot that don’t. Ask a ton of questions to determine the good from the dubious. As we are getting older, injury prevention is key. Nobody needs training setbacks – aim for progression and results. Are you aged between 28 – 40 years old? Do you have an awesome attitude and want to be a part of a highly energised team of supportive women. We are looking for 8 girls who want to get into shape with weekly high-intensity workouts for 6 weeks straight. We are in search of a team of women serious about getting the most out of a High Intensity 30 minute training session using the Power Plate ‘Train like a Gladiator’ program each week for 6 weeks. By the end of the 6 weeks we want to have created an intimate team of women who have successfully stepped up their fitness using advanced technology in a collaborative team environment that provides support. If you think you have what it takes or TAG a friend you want to challenge to join our NEW and exclusive Thursday Night Training Class. 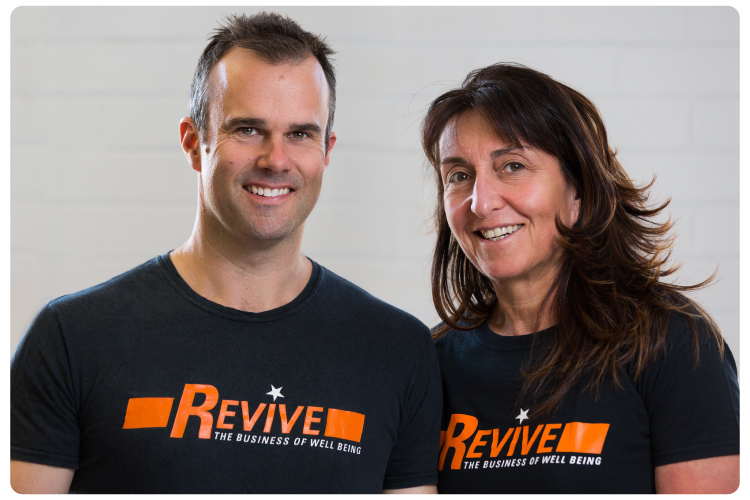 This group will be committed to 6 weeks of training sessions in a personalised group setting at Revive the business of wellbeing in Elsternwick. The 6 week training program will commence ‪on Thursday the 14th of July and the last day will be ‪on Thursday 25th August. 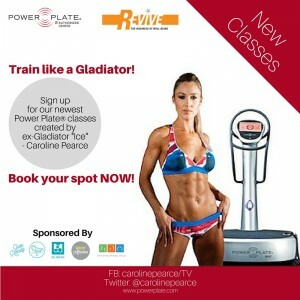 – Classes will be 30 minute classes and run once a week for 6 weeks. If this sounds like YOU then you are invited to apply to join the team. So much news at Revive! The highlight of our month, every month, is the class we run for the Access Inc. Group of young “all abilities” adults. The forty-five minute session brings joy and health to the group. Access Inc. has been coming to Revive for the last four years and the participants and the carers have benefitted from activity and connection. We love our association. “In learning you will teach, and in teaching you will learn.”– Son of Man by Phil Collins. The Revive Team pride themselves on up-skilling and learning and then teaching. Travelling interstate and abroad to learn, to connect and to share. The world of fitness has so much to offer – the various disciplines, the Mentors – a smorgasboard for the hungry students in us. We love to educate our clients on the benefits of exercise, weight training and nutrition. Dan and Lily both Power Plate Master Trainers teaching the Power Plate CPPT course to trainers and allied health.